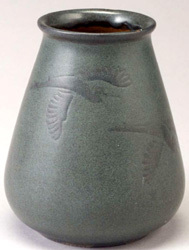 Marblehead Pottery was established in 1904 by Dr. Herbert J. Hall as a studio art pottery in Marblehead, Massachusetts using the art and technique of ceramics manufacturing and decorating as a rehabilitation and therapeutic aid to local sanitarium patients at Hall's Devereux Mansion Sanitarium. 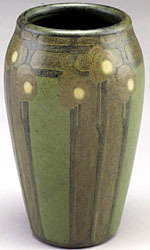 Director Arthur Baggs joined Marblehead Pottery soon after its establishment in 1905; Baggs was an expert in the technique of incising ceramics by hand and hand painting the surfaces with typically geometric patterns in alternating and contrasting colors. 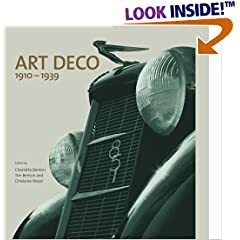 In 1915, Baggs became the primary owner of the pottery, leading Marblehead into a period of its optimum creativity as a top producer of art pottery during the American Arts & Crafts years of the 1920s and 1930s. While Marblehead production expanded, they always remained a small studio operation, and employment at the factory never exceeded about 8 workers. Mixing hand done techniques with more mechanized production, Marblehead specialized in glazes that combined pebbled and matte finishes in high quality, uniquely shaped and colored works. Marblehead Pottery glaze colors were more diverse than contemporaries like Grueby which also specialized in matte finishes, but Marblehead used many different colors in contrast to Grueby's primarily green matte glazes- Marblehead blue was the most popular but you also find pink, green, yellow, gray, and brown were all popular colors that the pottery produced during the 1920s and 1930s. They produced many different forms but were especially known for their realistic depictions of fish, seahorses, and other marine life in addition to birds, flowers, and more naturalistic shapes. Like many other art potteries of the time, Marblehead had financial difficulties during the years following the Great Depression, and they finally ceased production in 1936. 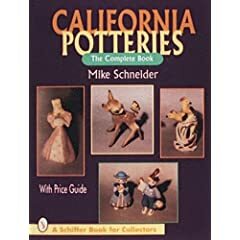 Buy period Marblehead, Fulper, Van Briggle, Grueby, Newcomb, Weller, Rookwood, and other finer art pottery on the Collectics Pottery and Fine Antiques pages, or search the entire site for great antiques, collectibles, and crafts for every collector!